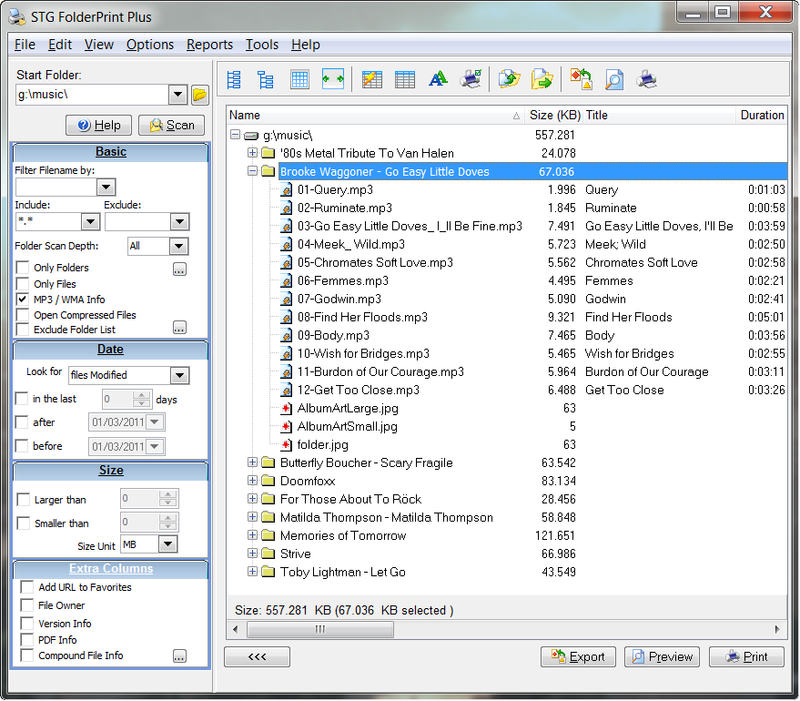 One of the functions of STG FolderPrint Plus is to list MP3. It allows you to choose between several fields, such as title, artist, album, genre, year etc and include them when you print, export or view your MP3 list. You can also select specific files to print when you list MP3. That way you can easily make a list of music by a band, genre or year. You can also do batch Move/Copy of MP3 Lists- for example, if you decide that you want your music in a folder with the Artist Name, then the Album name, you can do it in a few clicks. You can also rename automatically using the MP3 Tags, which is very useful if your MP3 Player just displays a part of the file name – you can then put the song name first so it will display properly.